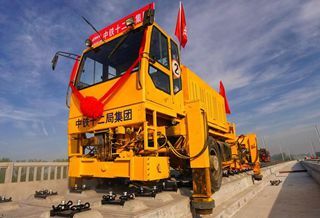 China’s Belt and Road Initiative recently completed its five-year anniversary. It has proven to be one of the most important projects of connectivity. After the launch of BRI, there have been various exchanges between China and other countries in the field of trade, arts, education and culture, etc. China-Pakistan Economic Corridor, being a flagship project of BRI, has been successful in bringing the people of two countries closer. Though China and Pakistan have maintained a stable relationship for almost 70 years, somehow this relationship was only limited to diplomatic exchanges. Thanks to CPEC, the nature of exchanges between China and Pakistan has changed and people–to-people ties have become stronger. Now it is overwhelming to see the influence of CPEC on cultural exchanges between the two countries. The world has witnessed the power of culture in the past few years. Recently, when I read the news about the release of first Pakistani movie “The Legend of Maula Jatt” in China, I realized that China-Pakistan friendship is set to reach a new height. Not only did I feel excited but when I shared the news with my Chinese friends, they told me that they can’t wait to watch the first Pakistani film in Chinese cinemas. Both film and television are important elements of culture. Films and television are carriers of culture; it is the power of the audio and visuals in films and television that people feel themselves a part of the story. The narratives and characters in the films become a part of their lives. Films and television provide a gateway to people to step into other cultures in order to develop a better understanding. Films and TV industry has drastically changed the societies of world and we cannot ignore its importance. In today's modern society, media industry has become a big part of our lives. It does not only inform, educate and entertain us but it also shapes our lives. No one can undermine the importance of entertainment programs. They are widely popular and they are a powerful source of preserving and promoting local culture. Entertainment industry plays an important role in bringing the people together. Cinema breaks all discriminatory barriers by offering a common platform to all. Cinema has a power to bring people, cultures and even nations closer. China and Pakistan have realized the importance of entertainment industry to strengthen cultural ties; in the near future, films and television exchange will make the bond between the two nations even stronger. There had been some influence of China-Pakistan friendship on the entertainment industry in the past years, especially after the launch of CPEC. Pakistani movie “Chalay Thay Saath” with a Chinese actor in the lead role, Shan food advertisement with a Chinese couple and the broadcast of Beijing Youth (A Chinese TV series) on Pakistan Television (PTV) are some prominent examples. I realized that even a mere advertisement has a tendency to reach people’s heart when my professor played the “Shan Biryani Masala TVC 2017”, a popular Pakistani ad, in class during her lecture. Yes, you got me right, that ad was not only popular in Pakistan but it was also watched by many Chinese people. Looking at the current situation, one can tell that the future will see many such exchanges between the two nations. The increased interaction between the citizens of China and Pakistan in the areas of culture, media, sports and tourism will further strengthened the bonds of China-Pakistan friendship. It will also promote goodwill, love and peace among the peoples of the whole region. The exchange of films and television would enable the people of both countries to understand each other’s culture and values. The author is a Master’s Degree candidate at Communication University of China and specializes in Cross-Cultural Studies.